Don’t we all love partying? Drinks and cocktails are an essential part of the same. What if one has a special instrument to uncork bottles in a jiffy? Well the Peugeot Electric Wine Opener is a gizmo worth buying. 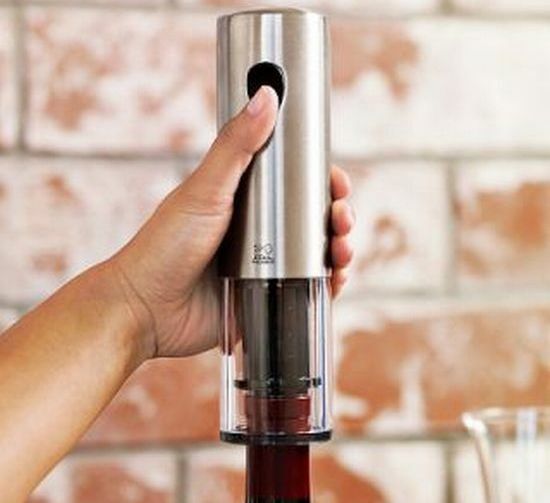 It uncorks wine bottles in seconds. You just need to place the gadget on the bottle and push a button and you are done. Made of stainless steel, the wonder gadget is rechargeable and available for just $120. It is cordless and amazingly faster from manual cork screwers. This should find place in every wine lover’s den. Skateboard with a Hello statement! ← Ergoskin: World’s first anti-slouch shirt!